On the occasion of the celebration of 100 Years of Leica Photography, Valbray – the renowned Swiss watchmakers from Lausanne – presents a special limited edition: the EL1 Chronograph. This watch is strictly limited to an edition of only 100 examples and is engraved with the Leica logo on the crown and ‘100 Years of Leica Photography’ on the back. 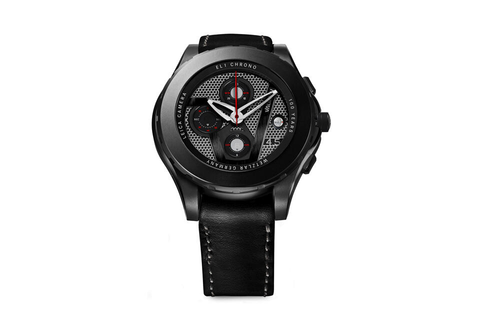 The EL1 Chronograph is distinguished by the unique Valbray shutter system that acts as a cover for the face and can be opened and closed by turning the bezel. 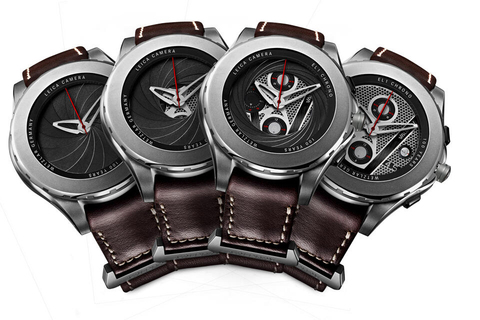 This mechanism is patented and handcrafted from 16 single blades, which are opened and closed by turning the 45-mm bezel. When completely open, the blades are hidden and reveal the specially designed chronograph dials. The hours, the minutes and the stopwatch function are all also readable when the diaphragm is closed. ‘The collaboration between Leica and Valbray brings together two premium brands that share the passion for utmost mechanical perfection and individually handcrafted products,’ says Alfred Schopf, chairman of the executive board at Leica Camera AG, on whose initiative this collaboration is based. Alfred Schopf, himself a connoisseur of fine mechanical timepieces, established the contact to Côme de Valbray, the founder of Valbray. Côme de Valbray is an enthusiastic photographer who has used Leica cameras for many years. Together, they laid the foundations for the creation of the Valbray EL1 Chronograph as a special centennial edition. 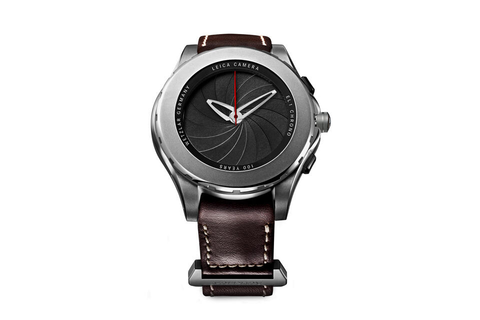 Made of grade-5 titanium with a sandblasted finish, this unique timepiece has four engravings filled in white on its bezel, one at each quarter-hour. The dials are all reminiscent of features of the Leica camera. The date indicator (at 3 o’clock), the minute dial (at noon) and the hours (at 6 o’clock) reflect the layout of the controls. The seconds (at 9 o’clock) reproduce the design of the exposure counter.and, finally, the metallic 4.5, located between the 4 and 5 o’clock, represents the initial aperture of the lens of the “Ur-Leica” – the very first Leica camera. 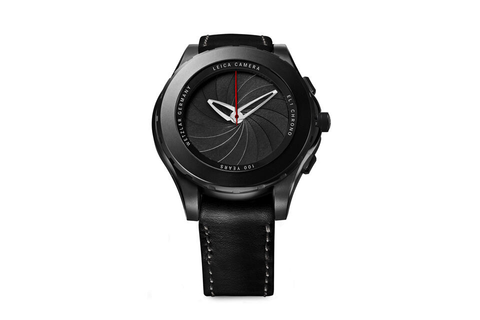 On the back of the watch, the automatic Swiss movement with a skeleton rotor is visible through a sapphire glass, darkened, as an homage to the darkroom. 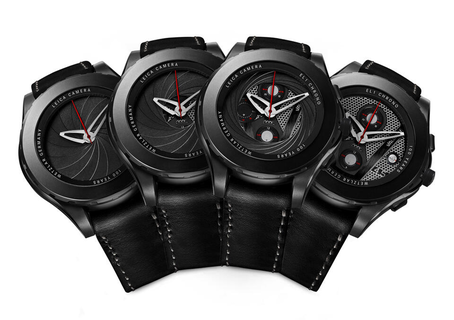 The timepiece will be produced in two versions: 50 examples in sandblasted titanium and 50 with DLC (diamond-like carbon) coating. Each chronograph will be supplied complete with an iconic jewel case and two bracelets that can be exchanged with a special tool provided. This limited-edition Valbray EL1 Chronograph will be available only from selected Leica Stores. For further information visit our Leica Camera Blog.